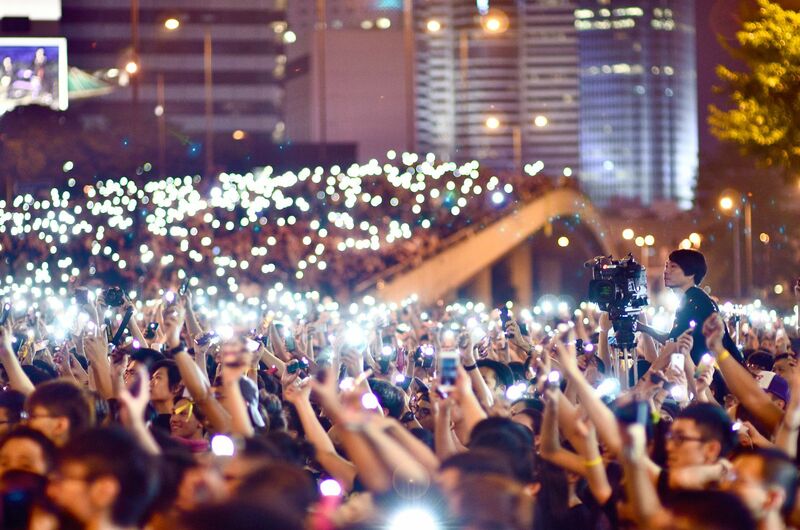 The news: If you haven&apos;t kept up with the pro-democracy movement in Hong Kong, you&apos;re missing one of the most respectful, well-organized and determined in recent memory. Despite facing massive Internet censorship, tear gas and pepper spray, protesters have largely made their case for political autonomy in a peaceful and orderly manner: Not only have organizers set up food distribution lines and first aid stations, they have also directed protesters to pick up their own litter and even recycle. There has been a calculated effort to keep things under control. Although the organizers have threatened to kick things up a notch if the government doesn&apos;t address their concerns, all you have to do is take a look at their "Manual of Disobedience" to see why things have been mostly smooth. The manual, made available online at the beginning of the demonstrations, explains the principles of nonviolent protest and encourages protesters to "avoid physical confrontation, but also to avoid developing hatred in [their] heart." What the protesters are asking for is not radical. Though the "umbrella revolution" is decidedly pro-democratic, it is not calling for a drastic change, such as full independence from China or an overthrow of the Communist Party in Beijing. Rather, it has focused on Hong Kong&apos;s right to choose its own chief executive. The long-awaited 2017 election will mark the first time Hong Kong residents can vote for their own leader, as promised in the historic transfer from the United Kingdom to China. But now there are serious concerns regarding Hong Kong&apos;s transition into an autonomous region with full democracy. The Chinese government has indicated it will maintain "comprehensive jurisdiction" over Hong Kong, and last month it announced that candidates for the 2017 Hong Kong election will have to be vetted by the Communist Party in Beijing — precisely the opposite of the freedoms it promised Hong Kong decades ago. Beijing has steadily stepped up pressure on the protesters to stop and has supported the riot police&apos;s handling of the situation An article in the Communist Party publication People&apos;s Daily even warned demonstrators of "unimaginable consequences" should they continue — and considering the fact that the brutal suppression of Tiananmen Square was only 25 years ago, that&apos;s a serious threat. China has also warned the U.S. and other countries to stay out the situation; in a scheduled visit between Chinese Foreign Minister Wang Yi and U.S. Secretary of State John Kerry, Wang reiterated that "Hong Kong affairs are China&apos;s internal affairs." "All countries should respect China&apos;s sovereignty and this is a basic principle of governing international relations," Wang said. "I believe for any country, for any society, no one would allow those illegal acts that violate public order. That&apos;s the situation in the United States and that&apos;s the same situation in Hong Kong." Hong Kong&apos;s protesters may be the best demonstrators in the world, but their presence is far from an acceptable reality for Beijing.